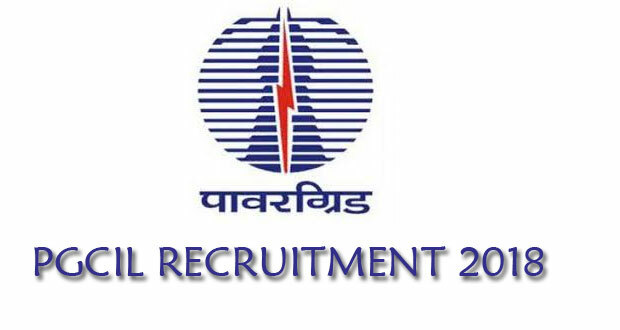 PGCIL Recruitment 2018 – Apply Online for Diploma Trainee, Junior Officer Trainee Posts: Power Grid Corporation of India Limited (PGCIL) has advertised a notification for the recruitment of 34 posts of Diploma Trainee, Junior Officer Trainee vacancies. Eligible candidates can apply online from 10-08-2018 to 24-08-2018. Other details like age limit, educational qualification, selection process & how to apply for PGCIL Jobs are given below. Diploma Trainee (Electrical) Diploma in Electrical Engineering from recognized Technical Board / Institute with minimum 70% marks for General / OBC (NCL) / ST candidates and pass marks for SC candidates. Qualification of B.E/B.Tech/B.Sc (Engg) in Electrical Discipline with 65% marks would not be a bar. Diploma Trainee (Civil) Diploma in Civil Engineering from recognized Technical Board / Institute with minimum 70% marks for General / OBC (NCL) / SC / ST candidates. Qualification of B.E / B. Tech / B. Sc (Engg.) in Civil Discipline with 65% marks would not be a bar. Jr. Officer Trainee (HR) Two-year full-time Post Graduate Degree/ Post-Graduate Diploma / MBA in Human Resource/ Personnel Management/ Industrial Relation/ MSW or equivalent from recognized Institute with not less than 55% marks for General/OBC(NCL)/SC/ST category candidates. Selected candidates will get Rs.16,000 – Rs.35,500 (IDA) by the Recruiting Organization.